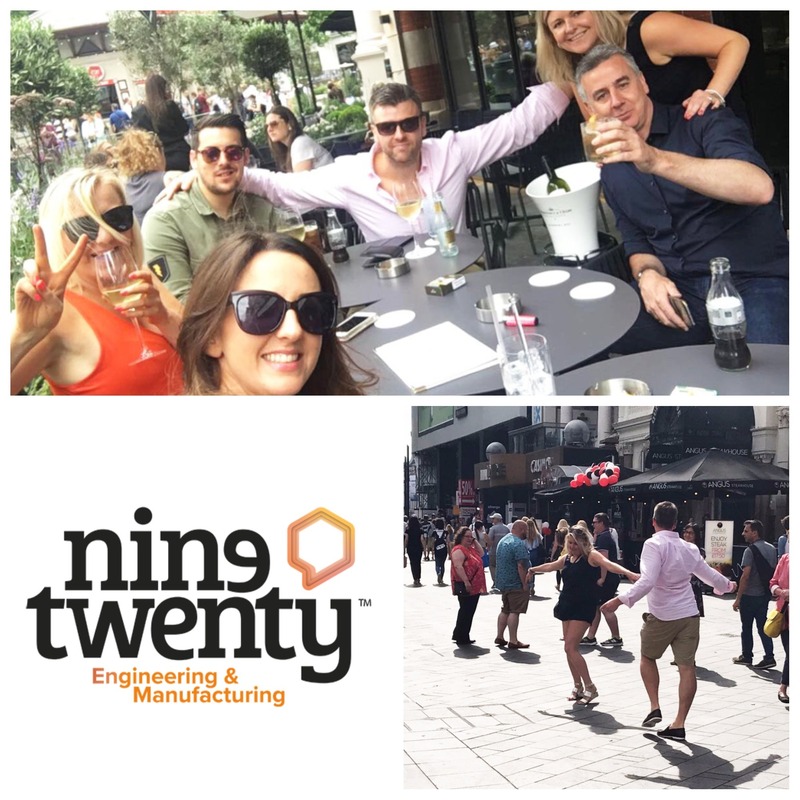 The Nine Twenty Engineering & Manufacturing team have had a hugely successful 2017 so far and as a big thank you for their hard work and dedication, MD Karen Stewart planned an all-expenses paid trip to London to thank her team. The initial trip was booked to see Jamiroquai live but unfortunately he cancelled last minute due to a back injury! Despite this, the team spirits were not dampened as they headed down to the capital on the first class train on Friday. They enjoyed lots of laughs over a champagne breakfast whilst testing their knowledge on a London based quiz. The team arrived in London just after 2pm and headed straight to Leicester Square for more champagne and cocktails in the sun and even a flamenco dance with some London buskers, watched by many or course! Shortly after, the guys headed to their hotel travelling by zipwire over the Thames– home for the night was actually a yacht docked on the Thames. 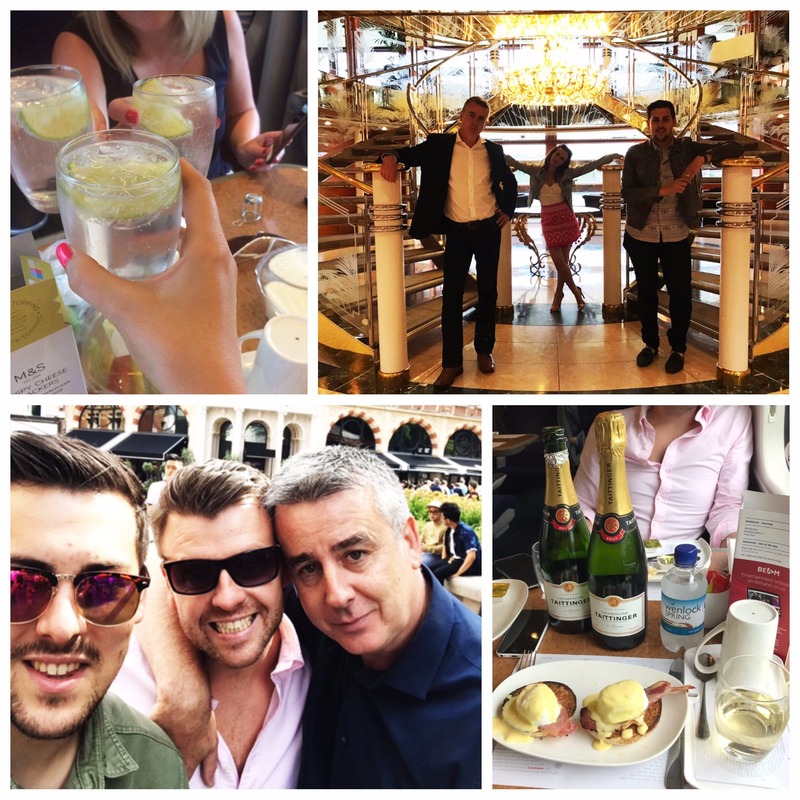 After getting refreshed and having nibbles and cocktails on the deck, the team then headed to Canary Wharf to mingle in the financial district before heading to Blues Kitchen in Shoreditch to dance the night away to the live music. Last but certainly not least, everyone moved onto a grime club where the team showed off their interesting dance moves…no pictures have survived from this part of the night thankfully! A few sores heads were to be had the next morning but the team were up, showered and out for breakfast at Eds Diner for 10.30am on Saturday morning grudgingly heading home on the train back to Glasgow. The laughs on the train will surely stick with the team for a while as recollecting the previous 24 hours continues to cause great hilarity. Can you see yourself having this much fun with your work colleagues?